We’re no strangers to magnificent shows of bravery and selflessness in the pursuit of fundraising, but the story of Edward Mills, aged just 8 years old has really blown us away. 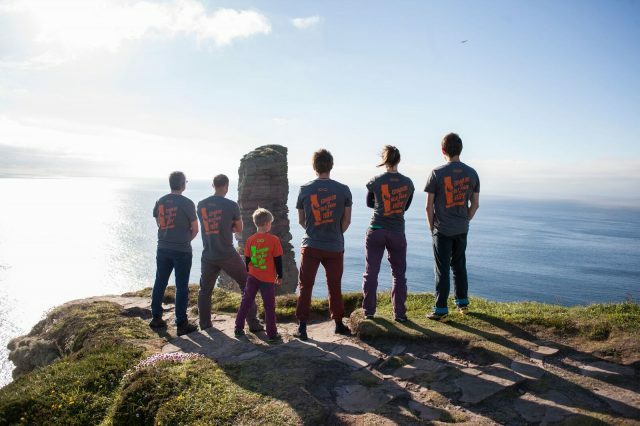 On Friday, Edward embarked on a challenge that saw him become the youngest ever to climb the Old Man of Hoy, a 450ft high sea stack in the Orkney archipelago. 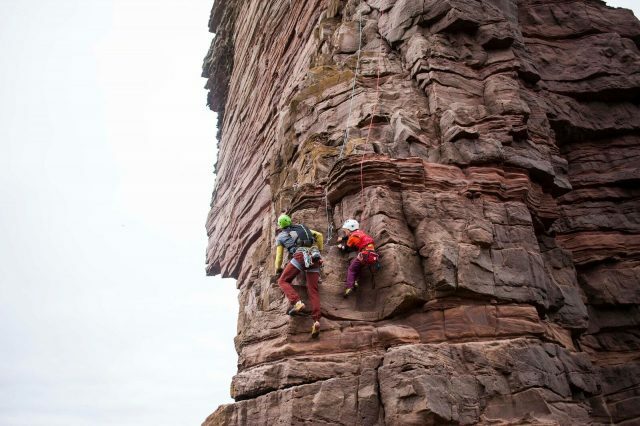 Not only that, but at the time of writing he has raised £25,590 (and rising) for Climbers Against Cancer, which with gift aid will take it over an astonishing £30,000, for which we are eternally grateful. That’s over triple Edward’s original target of £10,000! Edward decided to undertake this amazing challenge when his mother, Bekki Christian, was diagnosed with terminal breast cancer. 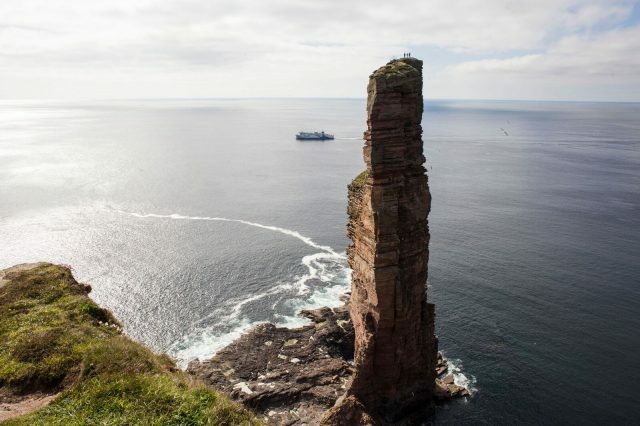 Bekki was there on the Stomness Ferry proudly watching as her son scaled the sea stack and reached the top. Edward and his coaches Ben West and Cailean Harker started their climb around noon and made good time to reach the top by 16:55. At the top Edward found a hidden box with a book inside where he wrote a personal message about his climb and how he’d done it to raise money for CAC. 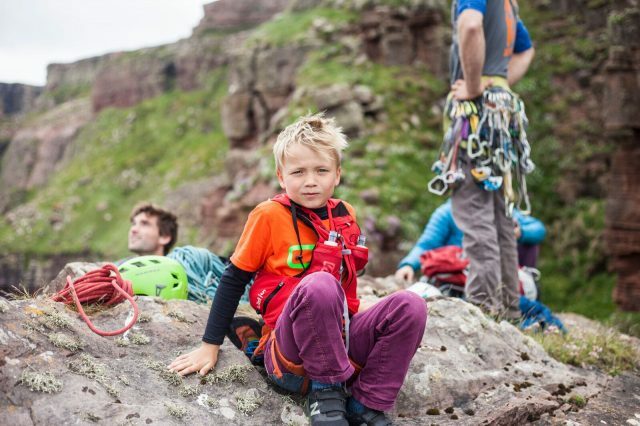 A promising young climber, Edward reached the group finals of the British Mountaineering Council’s Youth Climbing Series for the last two years and this year earned himself a place on Scotland’s youth climbing team. We’re sure she is incredibly proud, as are we have to have such a compassionate and inspirational young man raise such a fantastic amount of money on our behalf. We can assure him that it will go towards helping as many people as possible and hopefully moving one step closer to ridding the world of this horrible disease. Thank you, Edward. From all of us here at Climbers Against Cancer.